This is the story of Jack, a man who has lost his parents and everything he loved. Although he didn't have a job he will have to use all of his skills and knowledge to get himself to London and join the resistance in their fight against Nazi-Germany. 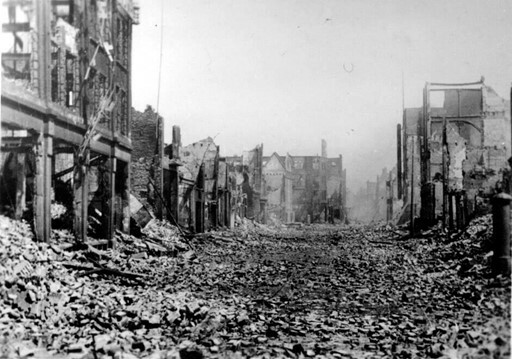 This story takes place in 1940 just after the bombing of Rotterdam. It's a fictional story that is based around World War two. It may happen that an object doesn't appear. In that case is probably is in the places and objects menu. We hope that you have fun and enjoy the game.